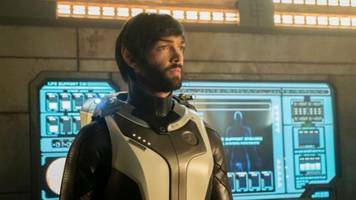 The post ‘Star Trek: Discovery’ Season 2, Episode 10 Recap: The Needs of the Many appeared first on Geek.com. 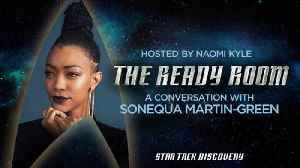 The Ready Room Host Naomi Kyle chats with Sonequa Martin-Green, who plays Michael Burnham, about all things Season 2, Episode 10, "The Red Angel." Stream all-new episodes of Star Trek: Discovery on Thursdays at 8:30 PM ET / 5:30 PM PT, exclusively on CBS All Access. Comicbook.com reports 'Star Trek: Discovery' season 2 concludes this Thursday, but it wasn't planned that way! 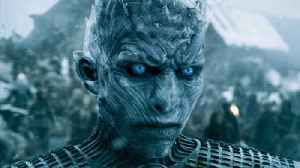 Writer and co-executive producer Michelle Paradise explained the finale was supposed to.. 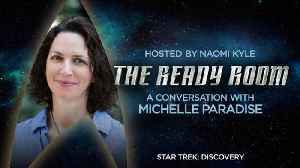 The Ready Room Host Naomi Kyle chats with Co-Executive Producer and Writer Michelle Paradise about all things Season 2, Episode 13, "Such Sweet Sorrow." Stream all-new episodes of Star Trek: Discovery..
Star Trek: Discovery cast members talk about the reconstructed Enterprise bridge set in the penultimate episode of Season 2. 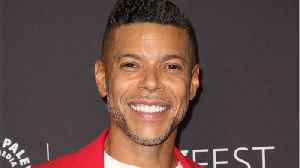 Stream all-new episodes of Star Trek: Discovery on Thursdays at 8:30 PM ET /.. 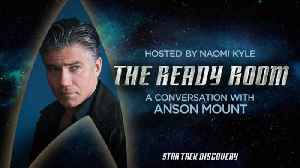 The Ready Room Host Naomi Kyle chats with Anson Mount, who plays Captain Christopher Pike, about all things Season 2, Episode 12, "Through the Valley of Shadows." 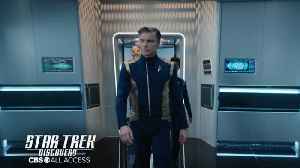 Stream all-new episodes of Star Trek:..
Executive Producer Alex Kurtzman and actor Anson Mount, who plays Captain Christopher Pike, talk about Pike's big moment in Season 2, Episode 12, "Through the Valley of Shadows." 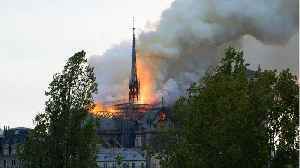 Stream all-new.. 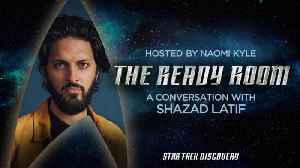 The Ready Room Host Naomi Kyle chats with Shazad Latif, who plays Ash Tyler, about all things Season 2, Episode 11, 'Perpetual Infinity.' Stream all-new episodes of Star Trek: Discovery on Thursdays at..